My Hand is Shaking - Do I Have Parkinson's Disease? Although tremor is a very common symptom in Parkinson’s Disease it only one of many issues faced by those that live with the challenge of this illness. But it is the one identifiable symptom associated with PD, a hallmark trait. It is, in fact, one of four cardinal symptoms of Parkinson’s Disease. Resting tremor is most commonly associated with Parkinson’s although not everybody with this disease experiences this symptom. A tremor is essentially an involuntary, unintentional rhythmic contraction of the muscles, most often affecting the extremities. 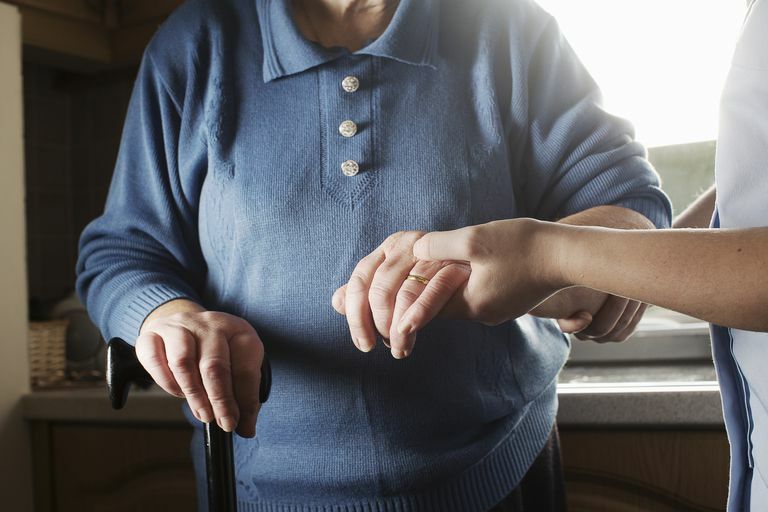 Compared to many other tremors, the tremor associated with Parkinson’s differs in that it stops with voluntary movement. So my hand may shake in my lap as I sit but if I reach for something, it will disappear as long as my arm and hand are in motion. Rigidity is defined by an inability of the muscles to relax. They are in a constant state of contraction resulting in abnormal tone, stiffness and consequently a decreased range of motion. This can be particularly painful and can affect any part of the body, most commonly the neck, back, shoulder and legs. It is rigidity that results in decreased arm swing or decreased facial expression (mask like facies) which is often seen in those with Parkinson’s. Bradykinesia or slowness of movement is essentially a loss of spontaneous movement and difficulty with repetitive tasks. Because of its unpredictable nature and severity, this symptom can significantly hinder a person’s activities of daily living. Postural instability may appear later in the course of disease and refers to trouble with balance and poor coordination resulting in difficulties with standing and walking thereby increasing risk for subsequent falls. Although these motor abnormalities which usually begin unilaterally, are considered to be characteristic symptoms of Parkinson’s Disease, there is so much more to this disease experience. In fact, although these symptoms were the sole primary focus from a diagnosis, treatment and research perspective in the past, we now know that, in fact, other symptoms have greater impact on quality of life parameters. This group, known as non-motor symptoms, includes a variety of issues that affect many different body systems, making this disease pervasive in its very nature. These include sleep disorders, pain, constipation, urinary urgency and incontinence, hyperhidrosis (excessive sweating), oily skin, excess dandruff, mood disorders (such as anxiety and depression), cognitive changes, orthostatic hypotension (lightheadedness upon standing), speech and swallowing difficulties as examples. As you can see from this brief list, Parkinson’s Disease is much more than a degenerative motor condition. A significant number of body systems are affected. And these symptoms which are at times variable and vague, can be attributed to many different illnesses, making diagnosis a significant challenge particularly early in the disease. Furthermore even amongst those that receive a Parkinson’s diagnosis every situation is unique with different versions of disease presentation and a distinct constellation of symptoms. So a tremor alone does not a Parkinson’s diagnosis make. The next step is to take your suspicions to your physician - how do they begin their investigation? Is physical examination useful? Are there any diagnostic tests?